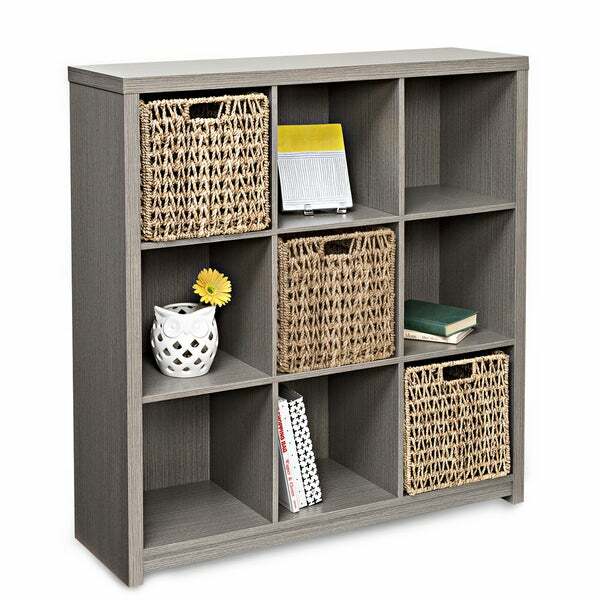 Honey Can Do SHF-01462 Premium Laminate 9-Cube Organizer Shelf. Add this stylish cube as both an organizing and decorative piece to any room. Choose to display the Honey Can Do SHF-01462 Premium Laminate 9-Cube Organizer Shelf either vertically or horizontally to fit your needs and personal taste. Each cube perfectly holds the Honey Can Do 13-inch fabric cubes for added storage. "Is this brown or grey? Appears grey in image but listed as brown in description."